Buy De Wit hand corkscrew weeder: <ul><strong><li>Comfortable T-handle for easy turning</li><li>High-quality hand-forged carbon steel</li><li>Lifetime guarantee</li></strong></ul><br>The De Wit corkscrew weeder makes it easy to remove dandelions, docks and other stubborn tap roots from lawns and borders in no time.<br><br> Place over the centre of the weed, screw the sturdy spiral into the ground and pull out the entire root encased in a core of soil. 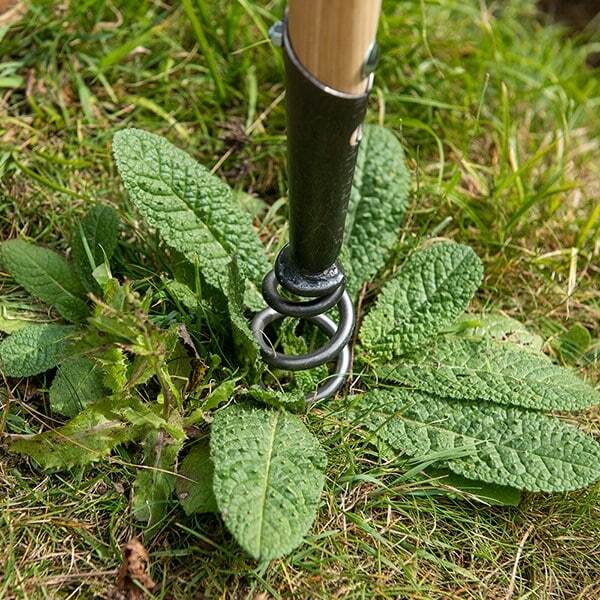 A great simple way to clear weeds without using chemicals.<br><br>Please note: this model is a short-handled weeder.<br><br> Measurements:<br>L57cm x W12cm x H5cm<br><br><strong>About De Wit tools</strong><br><br>The Dutch are renowned for making the world’s finest garden tools, and De Wit is the most respected name of all. Founded in 1898, the family-owned toolmaker combines old-fashioned quality and craftsmanship with innovative design to create superior tools that last a lifetime. <br><br>Every tool is hand-forged in the Netherlands from tough boron steel - shaped, sharpened and burnished for durability, giving it the same blackened patina as traditional Edwardian tools. Each is fitted with an FSC-certified solid ash handle for ultimate strength and shock resistance, oiled to provide first-class protection against the elements.<br><br>All De Wit tools come with a lifetime guarantee against manufacturing defects, making them a truly once in a lifetime purchase. The De Wit corkscrew weeder makes it easy to remove dandelions, docks and other stubborn tap roots from lawns and borders in no time. Place over the centre of the weed, screw the sturdy spiral into the ground and pull out the entire root encased in a core of soil. A great simple way to clear weeds without using chemicals. 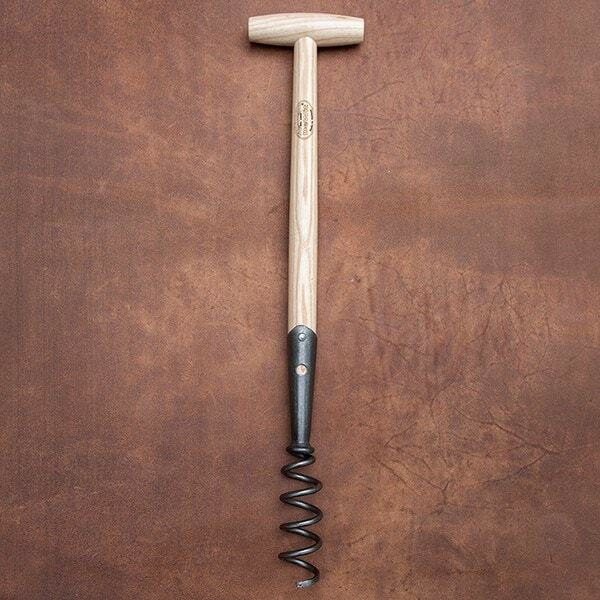 Please note: this model is a short-handled weeder.